Milloy-Simon gets ready backstage for the Miss Sierra Vista pageant in 2005. Former Miss Sierra Vista Brandi-Milloy is the new host of The Food Network’s “Let’s Eat”. 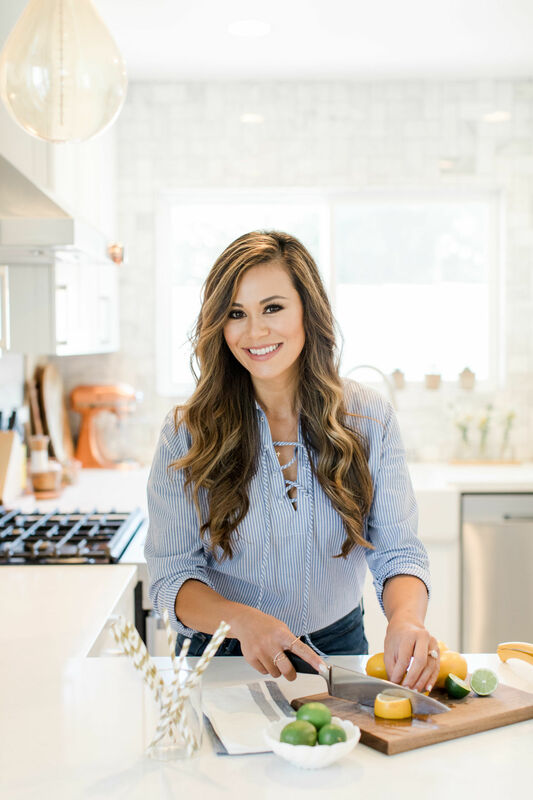 Former Sierra Vista resident Brandi Milloy-Simon is one of the hosts of Food Network's new show "Let's Eat." Brandi Milloy-Simon, 35, is one of three hosts of “Let’s Eat,” the network’s newest series, which airs Sundays at 11 a.m. She is joined by chefs and fellow co-hosts Jamika Pessoa and Stuart O'Keeffe. Milloy-Simon said the premise of the show revolves around food trends and easy recipes viewers can do in their own homes. “This has been in the making for a while,” Milloy-Simon said. “I’m a journalist first. I’ve always been a storyteller. I’ve always loved meeting people, experiencing new things, (and) asking questions. As a trio, the hosts wrote nearly 100 recipes for the 14-episode season, including the pilot episode, which airs Sunday. The series premiere is titled “The Right Stuff,” and according to a Food Network press release, all the recipes are about foods filled with other ingredients. “Let’s Eat is making delicious dishes literally stuffed with mouthwatering ingredients. First, Jamika Pessoa batters up with crispy, fried, crab-stuffed hush puppies that she calls Crush Puppies. Stuart O’Keeffe prepares Pork Wellington wrapped in layers of ham and puff pastry and then topped with cherry port sauce. Brandi Milloy adds a surprise to Cupcake Stuffed Ice Cream Cones with Mermaid Tails, and then Stuart shares his tricks for stuffing a Pinata Cake with chocolate candies and sprinkles,” reads the release. “This show really features those food trends and easy recipes, approachable recipes, easy ingredients — which is definitely something I’m all about,” Milloy-Simon said. The former Sierra Vista resident’s love of cooking and food stems from when she was a little girl. She recalls cooking in the kitchen with her mom and experimenting with food after trying a new restaurant because she wanted to know how the chefs made such delicious offerings. “I’ve always had a love of food, and I think once I started focusing on journalism and realized I could be a food reporter and just cover food and meet chefs and talk about food and write about food, that’s kind of where my love really was strengthened,” she said. “I’m definitely an at-home cook. I’m self-taught. She first moved to the area in 1994 when her father was stationed on Fort Huachuca. She completed sixth, seventh and eighth grades before moving once again. Milloy-Simon and her family returned to the area a few years later. She completed her final two years of high school at Buena High School. Milloy-Simon now lives in Los Angeles, but returns to Sierra Vista to visit her family. After graduating from Buena in 2001, Milloy-Simon attended Cochise College before moving to Tucson to attend the University of Arizona. There, she earned her two degrees in journalism and English. In 2003 and 2005, she was crowned Miss Sierra Vista. She has appeared as a contributor on the “Today Show” as a Today Tastemaker, E! News Now, CBS, ABC, Food Network and other media outlets. Before moving to Chicago she worked as an intern at KVOA in Tucson, and was the editor in chief for Cochise College’s newspaper. In her previous work with the Food Network, she appeared as a judge on “Guy’s Grocery Games” with Guy Fieri as well as on other shows. Milloy-Simon credits her love of journalism to being the daughter of a soldier, in addition to her passion for storytelling. “Let’s Eat” is slated to run until mid-November. To keep up with Milloy-Simon’s adventures, follow her on Facebook, Instagram @BrandiMilloy, or visit her website, brandimilloy.com.